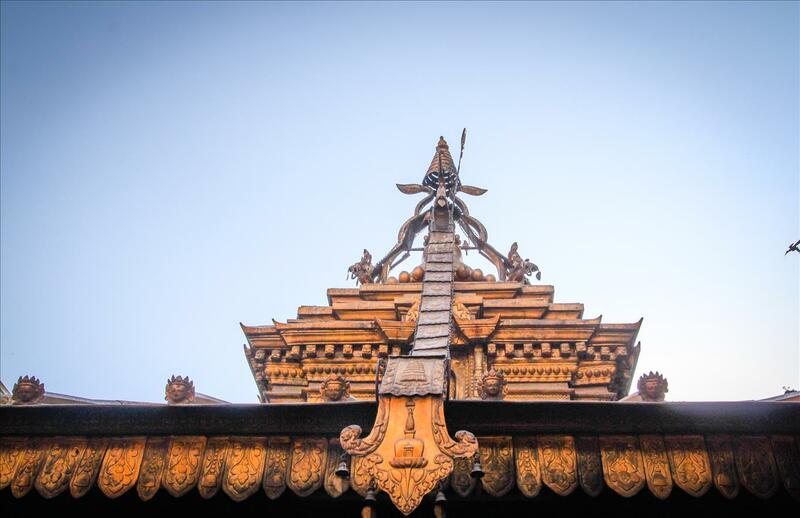 Wandering on foot through the three districts of Kathmandu brought us to Patan Durbar Square and some pretty impressive historical architecture. 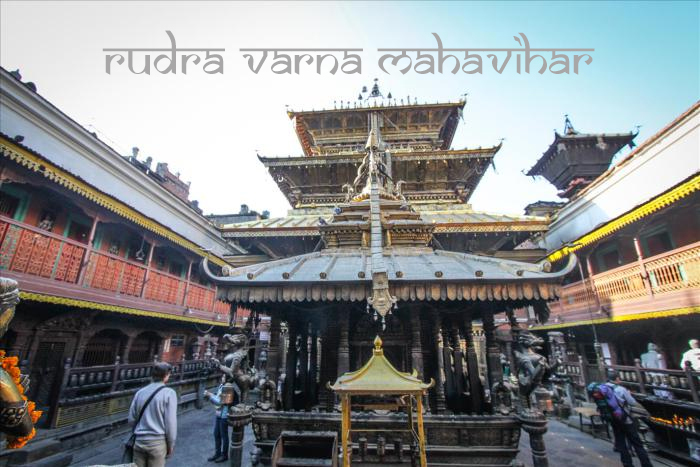 One awesome thing about Kathmandu is that it’s full of diamonds in the rough; outward appearances are not what they seem. One minute we were two unsuspecting tourists walking down the street stopping to laugh immaturely at a too well endowed pig statue whose main attraction was painted obscenely bright (not pictured, so you can stop scrolling) and the next minute you’ve passed Mr. Fertility Piggy and entered one of the most ancient Buddhist monasteries in Kathmandu and the site where kings were once crowned. 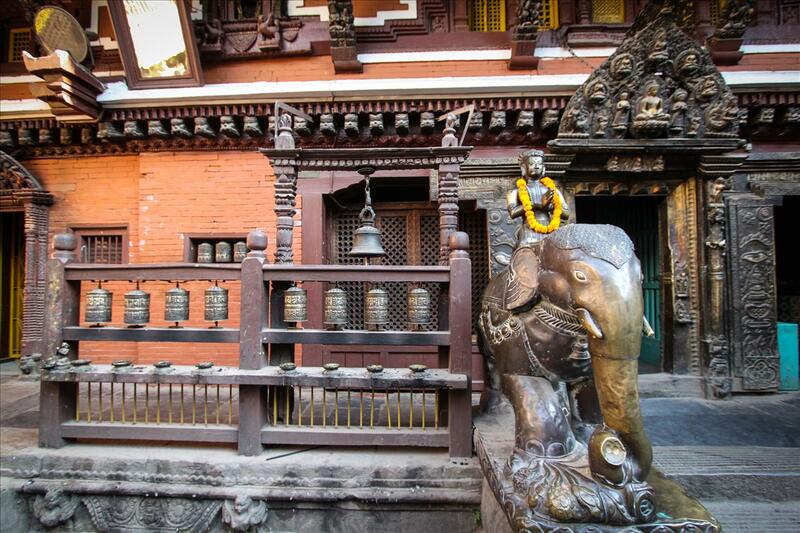 The art of the double entryway is one that Kathmandu has mastered, a humble appearance can hide a goldmine. We ducked through a small stone archway and a high wall and struck gold finding the beautifully ornate entryway to the temple. Inside were gorgeous statues that didn’t make us laugh, but were appreciated just as much. Incense and chants hung thick in the air as we explored the place that some monks call home. The bronze and stone artworks some of which date back to around 250 A.D. must have been someone’s life achievement. It was like visiting a gallery in an art museum minus the glass and plaques and kids writing uninspired reports on notebook paper. Buddhists at worship and a reverent atmosphere made this place one of my favorites and a haven for the art nerd in me.